» We also offer Countertops! 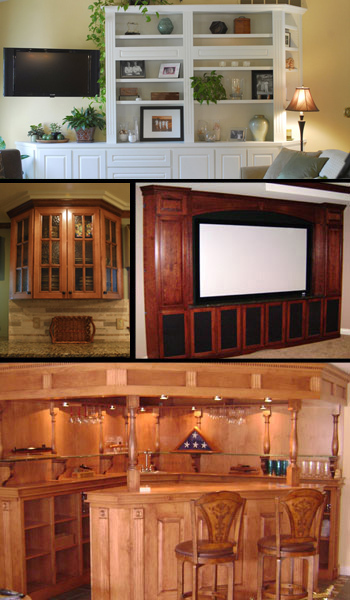 Welcome to Design/Build Cabinetry, the home of complete service and quality craftsmanship. My name is Wayne Holtgrewe. I have been in the cabinet-making industry for nearly 25 years, and in 2004 I founded what is now known as Design/Build Cabinetry. During my time in this business, I have gained experience in a wide variety of commercial and residential applications. Everything from design to manufacturing to installation is handled in-house, so we are able to meet all of your needs in a personalized and timely manner. We offer free estimates, we are fully insured and are able to provide excellent references. Please take some time to view our online showroom, and don't hesitate to contact me with any questions you may have. I look forward to meeting with you and helping you to build your dreams.